Have a passion for writing? Ever wondered what it would be like to live your dream as a professional writer? If so, meet Sr. Suma Din, she is a published author changing the world with her words one book at a time. 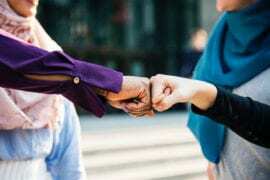 Read on to find out more about the writing profession, find inspiration and how remaining true to your passion can lead to success, bi’ithn Allah. 1. Sr Suma, we’re interested in finding out how began your journey on writing? Ever since primary school, writing has been a personal habit of filling pages of home-made diaries. In secondary school when I thought 12 was a sophisticated enough age to have nice stationary, I bought pretty covered blank books and kept a daily diary. I now have a stash of roughly 25 years worth of daily musings to cringe at. Formal writing began with student magazines at University and other Muslim youth articles in the 90’s. When my three children were quite young I decided to compile a selection of hadith and Qur’an verses to motivate women using Islamic sources and photographs. The idea evolved into more than a compilation and I wrote sections for each chapter, the result was Turning the Tide, Reawakening the Woman’s Heart and Soul. All the writing I started off with and continue to do today is borne from needs that I see going unfulfilled. 2. What kind of impact are you seeing your books have on the Muslims and non-Muslims who read them? 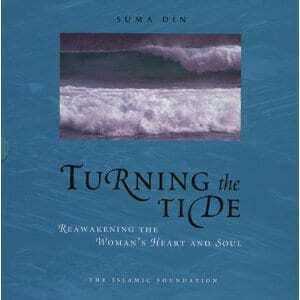 Over the years, many women have got back to me about Turning the Tide saying they found it uplifting and motivating. Recently a Christian woman’s spiritual reading group chose Turning the Tide for their group and found it helped them explore their spirituality from a female perspective. The school books and resources, from what teachers & RE coordinators have said, helps them access accurate information from a global dimension. It’s still hard to believe how much misconception there is out there. I wanted to give children an up-to-date presentation of what it means to be a Muslim today. So sarees, samosas and ‘70’s wall paper don’t feature highly in the latest primary school series on world faiths I devised called Special Times, for which I wrote A Journey through Life in Islam. 3. 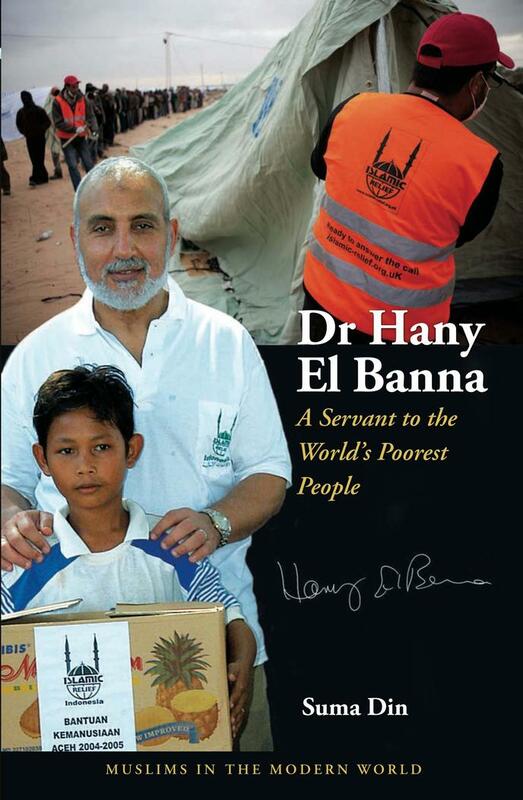 You’ve got a new exciting series on ‘Muslims in the Modern World’ which starts with a biography of the Founder of Islamic Relief, Dr Hany El-Banne, tell us a bit about the aims of this series? Each book tells the story of a faith-led, vivacious, unconventional, somewhat audacious … Muslim. 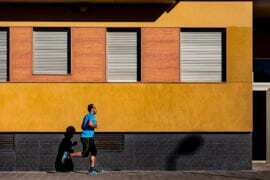 Not words normally used to describe contemporary Muslims? Well that’s what the series aims to do: introduce a diverse range of personalities; a whizz bang female scientist is next in line, followed by a renowned human rights activist who paid with his life in the efforts to get justice. So in all, the series aims are a) to motivate Muslim youth, and b) give non-Muslim schools a realistic resource to show what ‘living Islam’ can mean in today’s world. 4. What are the key lessons our readers at ProductiveMuslim can learn from the series? I hope ProductiveMuslim readers, recognise the productivity (yes had to get that in) of these personalities and their sheer determination to succeed, spurred on by their faith – not in spite of their faith. What I love about non-fiction is that these are real people. They fail, they fall, they make mistakes, sometimes they don’t have a clue what they’re doing, but they just don’t give up because they have a vision and they will do whatever it takes to work towards their goals, which tend to be XXL in size and on a global scale. These biographies are not about arm-chair philosophisers – they are about ‘doers’. In fact I don’t think any of them would recognise an arm chair or its function. 5. What advice can you share about how to become an good writer? I can only address non-fiction writing here, and I’d say going the extra mile to do thorough research and wide reading of other non-fiction is essential. When it comes to writing style, that’s a personal thing and experimenting is the only way someone can find out what comes naturally to them – so just write! And write. And be prepared to rewrite several times. Strangely enough, nothing I’ve done yet comes totally naturally to me, life’s not that linear. I’ve written what I have because I’ve seen a need and had an opportunity. However one book in the pipeline for next year and another inching its way towards the pipeline is more my natural voice and picks up where my childhood diary writing left off. 6. Are there any challenges that you have faced in trying to publish your work and what lessons can be learnt? 7. Who is your role model in life and why? I’ve got too many, but let’s start with the historical ones; all the prominent Prophets and their mothers. Their lives show they had a tough time to say the least; children going astray, parent problems, sibling rivalry, health problems, community issues, rejection, feeling displaced – the lot. I think of the Prophets of Allah in a contemporary sort of way and so how they dealt with life is always a source of inspiration to me. On a contemporary level, I’ve got many role models; some well known (like the ones in Muslims in the Modern World), others who live quiet, inconspicuous lives of faith and forbearance. 8. Lastly, any parting advice for ProductiveMuslim fans and readers on staying productive? I’m not in a position to advise regarding productivity, but I can share what helps me. I live by ‘to do’ lists and look at time as though the clock hand is sweeping away each hour which will never be replaced – what if it wipes away the hours and there’s a blank clock face by 12 tonight? Have I made the most of every hour, through my intentions and efforts? Have you?